I really enjoyed the chemistry between Amy and Luke. There's so much fun to be had when characters, in this case Amy, make (wrong) snap judgments. Of course, Luke is much more than the pretty face, and gorgeous body, Amy assumes him to be and just the person to shake up her comfort zone. Prickly, confident Amy is exactly the kind of woman Luke is drawn to and when a bet between them the night they meet ends with a soul-stirring kiss, he takes the job she offers to explore what could be. She, of course, thinks it's because he needs money. What Amy has assured Luke will be an easy-money birthday celebration at her family ranch quickly turns into much more. Amy's ex shows up, her jerk of a father tests Luke at every opportunity in an attempt to get rid of him, and her grandparents (champion scene stealers - I adored them) are primed to nudge Amy and Luke down the aisle at the first opportunity. Then there's the chemistry between Luke and Amy, the snappy banter, events that have Amy reassessing her life goals, again, those adorable, scene-stealing grandparents, other quirky relatives who add to the general chaos as well as generating plenty of humor, and the fact that, sometimes, first impressions are far from reality. All in all, a fun ride that had me smiling from beginning to end. If you're looking for a feel-good contemporary romance that will make you chuckle, make you sigh, tug at your heartstrings, and leave you happy you took the time to read it, then Rich Amooi's latest book, There's Something About a Cowboy should be on your reading list. Do you enjoy romantic comedies? Have you read any of Rich Amooi's books? Fun, Quirky Romantic Comedies from a Guy's Perspective. 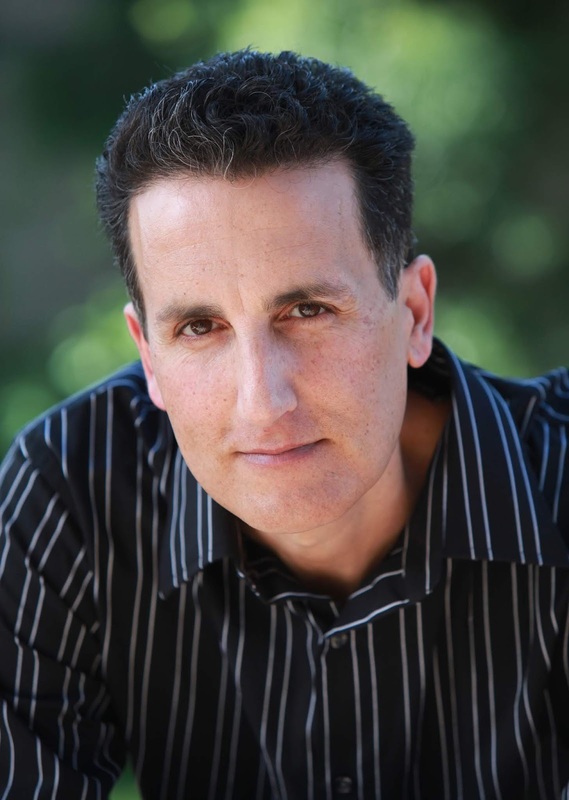 Rich Amooi is a former radio personality who now writes romantic comedies full-time. He is happily married to a kiss monster imported from Spain. Rich believes in public displays of affection, silliness, infinite possibilities, donuts, gratitude, laughter, and happily ever after. An Eclair to Remember was so much fun to read. This sounds like a good, fun book. Meddling grandparents can add so much to a book. I love rom-com stories. I own all of Rich's books. Thank you for sharing PJ.